I want to go here. 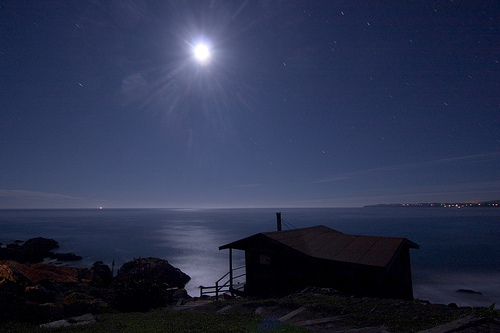 Ten lovely little cabins sit high above the beach in Mount Tamalpais State Park (just north of San Francisco) and available for a mere $75 per night! It's hard to find info on these little gems... official site, 3 reviews from TripAdvisor, and Google image search results. The cabins are in high demand; reservations open up 7 months in advance. Book July 1 at 8am for January 2010. I can't wait 7 months; I want to go now.